If an organization owner has restricted the ability to change repository visibility to organization owners only, members with admin permissions to a public repository cannot make it private. For more information, see "Repository permission levels for an organization." Warning: When a public repository is made private, public forks of the public repository are detached and put into a new network. They are not made private. 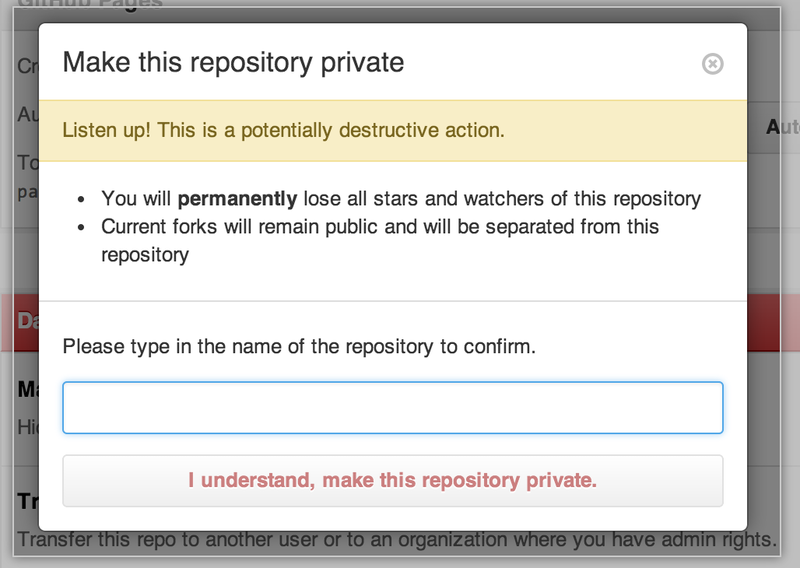 For more information, see "What happens to forks when a repository is deleted or changes visibility?" Type the name of the repository that you want to make private.